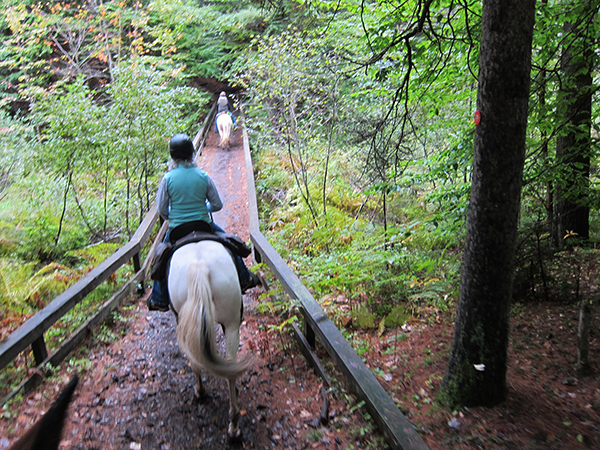 Trail riding enthusiast and Equitrekking contributor Susan St. Amand revisits the Adirondack Mountains of New York and shares her experience. Photos and text by Susan St. Amand. 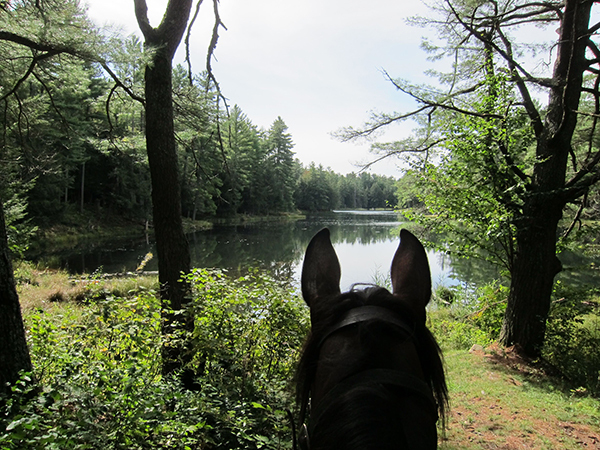 After a short visit to Otter Creek Horse Trails earlier this year, I was fortunate to be able to return again to fully enjoy riding in New York's Adirondack Mountain area on my own horse. This trail system is comprised of a series of intertwining trails totaling about 65 miles. The trails are mostly flat and consist of sandy roads or wooded trails. 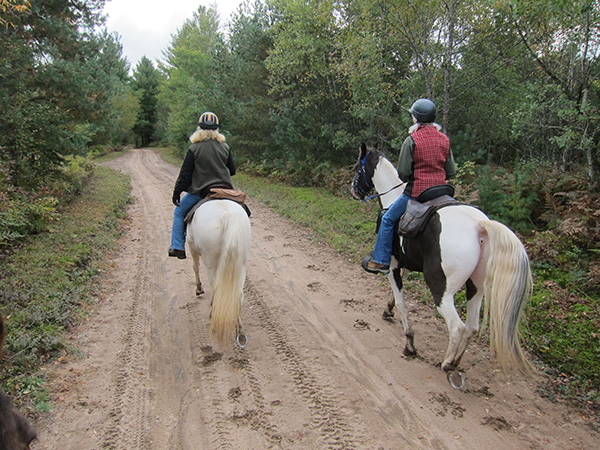 They are wide, well groomed and maintained by the Friends of Otter Creek Horse Trails. There are also several small ponds or lakes within the trail system. On this occasion, we rode to Shingle Mill Falls. With the recent rain activity, the water was abundantly flowing. As with all waters located in the northern wooded regions, it contains a lot of tannins and is root beer colored, making it difficult to see the bottom of the creek or river beds. Next, we came to a beautiful view of Catspaw Lake. 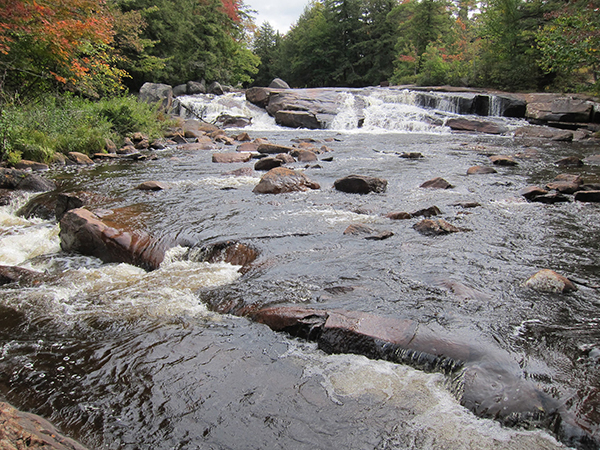 Trails meander through creeks, over small bridges, and sometimes follow snowmobile or ATV trails. There are several locations where tie rails and picnic tables are available to take a break and eat your picnic lunch. 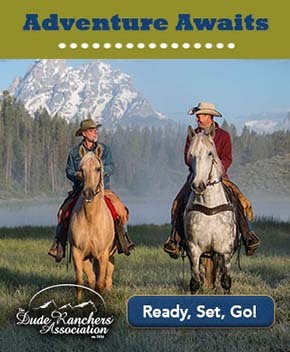 If you feel adventurous, the “Trailside Restaurant and Bar” is located off the Blueberry Trail where you can stop and tie your horse while enjoying a hot meal and a drink. 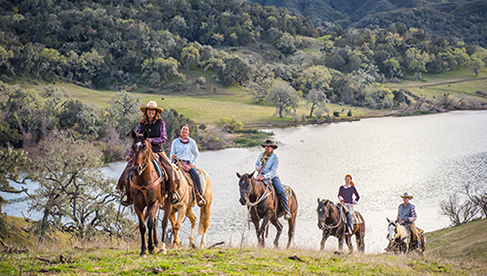 Within the Otter Creek Horse Trail System is an assembly area consisting of three parking lots and an additional overflow or day use parking area. In addition, it has 100 roofed tie stalls, two separate roofed stud stalls, manure pits, and water for the horses. Primitive toilets are also available. Overnight camping is permissible in the assembly area on a first come, first served basis. 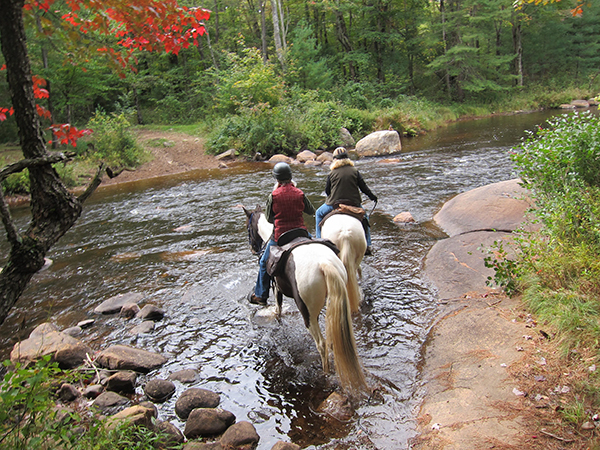 Surrounding the Otter Creek Horse Trail System is an equestrian community comprised of year-round residents or part-time residents whom also rent out their cabins and facilities to equestrian enthusiasts interested in taking an equestrian vacation riding in the Adirondacks. When not horseback riding, an excursion to the Adirondack Culture Museum at Blue Mountain Lake provides knowledgeable insight into the history and culture of the Adirondacks. Guests enjoy demonstrations on the trade of building an Adirondack guide boat or canoe, as well as the history of logging with the use of horsepower to pull logs out of the forests and to the rivers. In the past, competitions were held between teamsters to see whose horses could pull the heaviest loads. Building rustic furniture out of natural materials was also a common tradition. This area is the birthplace of the popular Adirondack chair, which is commonly utilized for relaxation by the water. Visiting the museum gave me a greater appreciation of the surrounding views I saw while on horseback. In addition, visiting local artisan stores, such as Blue Mountain Designs, where an artist drew a large colorful picture of a moose with chalk, gave more exposure to the hidden talents of the Adirondack culture. About the Author: Susan St. Amand is a Board Member of the Shenandoah Trail Riding and Horseman's Association in Shenandoah County, Virginia. She grew up in Northern Maine with horses on a farm and has been a transplant to Virginia for the past 26 years. A retired Youth Education Technician, she enjoys planning horse vacations with friends and has currently completed many rides in Maine, New Hampshire, Pennsylvania, New York, West Virginia, Tennessee, North Carolina, as well as Virginia, trailering her own horse.